<br>Robert Luff & Co are delighted to offer to market this beautifully presented, fully refurbished first floor flat situated in this sought after West Worthing location, just a short walk form the town centre and the seafront and with the mainline station and local bus routes nearby. Accommodation offers entrance hall, bay fronted open plan kitchen / lounge / dining room, modern bathroom and two bedrooms. Other benefits include a rear garden, share of the freehold, a long lease and an allocated parking space. Door and stairs leading to first floor. Front door to hall with laid wood flooring, electric meter, radiator, loft hatch. Oak wood flooring, a range of grey base units and frosted glass wall units, designer sink with mixer tap, four ring gas hob with Cooke & Lewis extractor fan, space and plumbing for washing machine, electric oven, glass splash back, double glazed window to side, space for fridge freezer, TV point, laid wood flooring, large double glazed bay window with Southerly aspect, contemporary style radiator, down lighters. Oak wood flooring, double glazed window with view of the rear garden, contemporary style radiator. Oak wood flooring, contemporary style radiator, double glazed window. 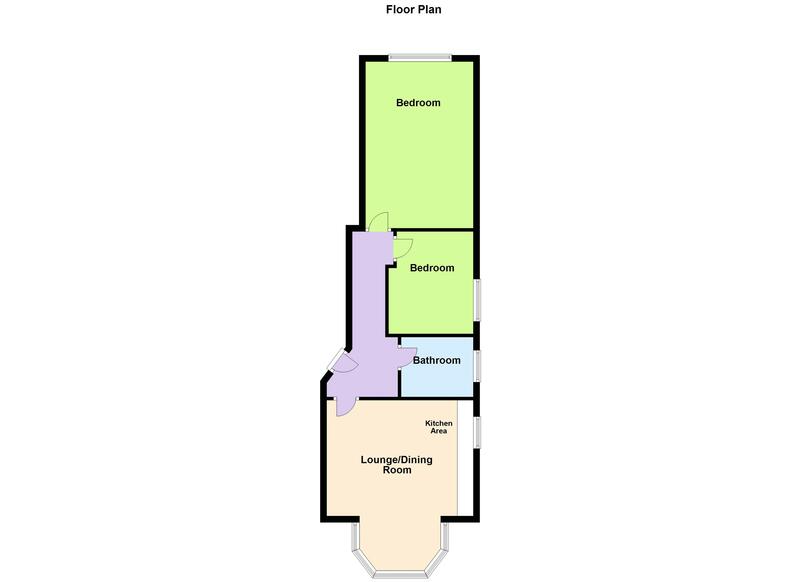 Low level flush w/c, basin with mixer tap and storage below, frosted double glazed window, heated towel rail, tiled floor, glass shower cubicle with rainfall shower head and separate shower attachment, tiled walls, extractor fan. Garden area with lawn, allocated parking space.